Your luxury tour begins as soon as you are greeted at your arrival airport. From here you will be chauffeur driven to your chosen accommodation. If your flight arrives early in the morning, you will have a couple of hours to rest and freshen up before going on a short local tour in the afternoon. Although we will discuss with you what you would like to see in Herriot Country prior to booking, when you arrive at Westfields we will make you a cup of tea or coffee and have a final chat about your itinerary, taking into account your personal interests and also bearing in mind the weather forecast for the week. 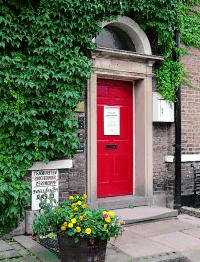 Visit the fascinating Herriot Museum, set in the original Kirkgate vetinary practice and home of Alf Wight (James Herriot) for many years. The house and surgery have been recreated as they would have been in the 1940’s. We will take you over the high fells where you can see for yourself the beautiful scenery as described so vividly in the James Herriot books. View the Whitestone cliffs, where Alf Wight enjoyed walking his dogs. 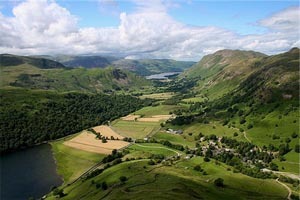 From here he described having the finest views across the vale of York to the Pennines. 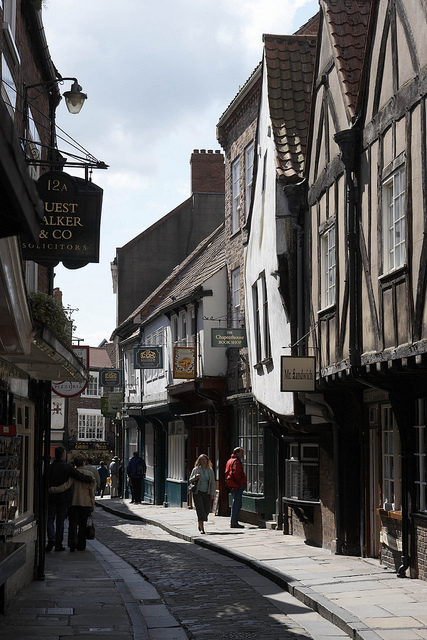 Explore the historic market town of Thirsk, known as Darrowby in James Herriot’s books. 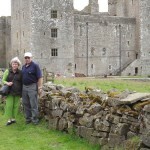 Visit the many unspoilt villages of the Dales which are still much the same as when Alf Wight would have known them. The beauty of the Dales is due to the way it is still farmed as it has been for hundreds of years with sheep on the high fells and cattle in the lower Dales. In many cases the farms have been in the same family for generations. These are the same families that Alf Wight dealt with in his everyday working life. 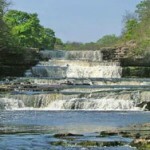 Near the village of Aysgarth the river Ure tumbles over a series of broad limestone steps which are known as Aysgarth Falls. In spring time the woodside banks are covered in bluebells and primroses. 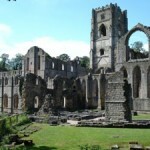 Fountains Abbey is Britain’s largest monastic ruin, founded in 1132 by 13 Benedictine Monks. 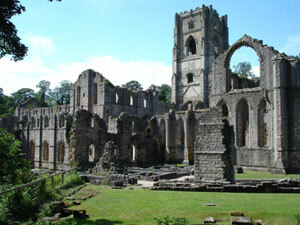 The Abbey became derelict following the Dissolution of the Monasteries by Henry VIII in 1539. 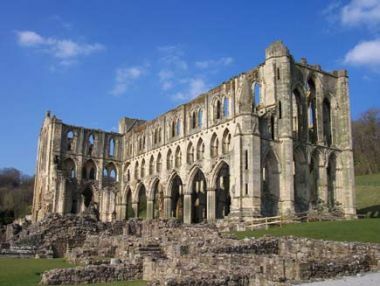 Tour the dramatic and extensive remains of Rievaulx Abbey, once one of the most powerful medieval monasteries in Britain. Set in the beautiful Rye valley. 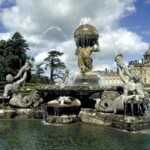 Tour Castle Howard, a magnificent 18th Century house with extensive collections, sweeping parklands and famous gardens. 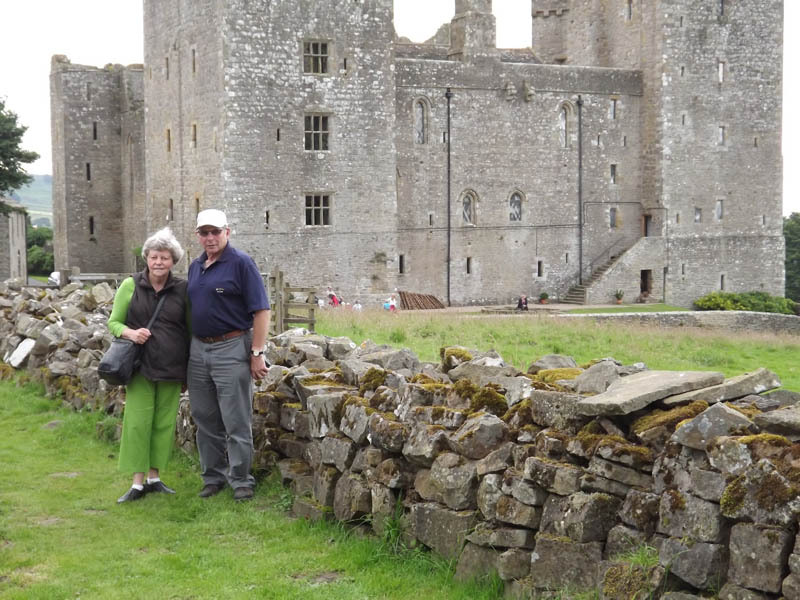 Explore Bolton Castle, a massive fortress dominating Wensleydale since 1399. It has connections with Richard II. Mary Queen of Scots was imprisoned here for six months. Have a relaxing afternoon in the ancient Roman City of York. Take a tour of the magnificent York Minster, one of the largest cathedrals of its time. 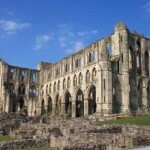 It is described to be an architectural masterpiece dating back to the 13th Century. 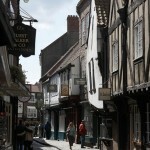 Explore the network of small streets known as the Shambles, with its timber-framed overhanging buildings from the 14th century. Visit the famous “Betty’s Cafe”, a favourite with Alf and Joan. 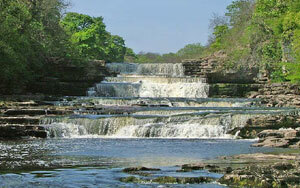 Northumberland is a beautiful wilderness with some absolute hidden treasures with in it. Visit Alnwick Castle where Harry Potter was partly filmed as a location for Hogwarts School, Bamburgh Castle on the coast which has a beautiful unspoilt beach, Hadrian’s Wall and various surrounding Roman Forts, Holy Island, Kielder Forest or just visit the towns and villages on a relaxing drive. 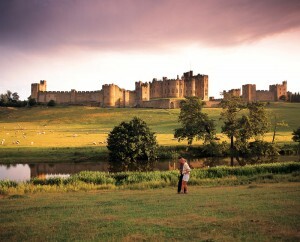 There is so much so see and do in Northumberland that you might have us take you there more than once! 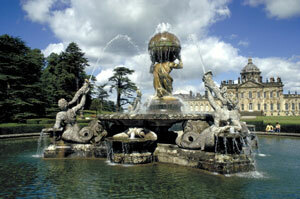 Northumberland National Park is also Europe’s largest designated area of Dark Sky, perfect for star gazing. 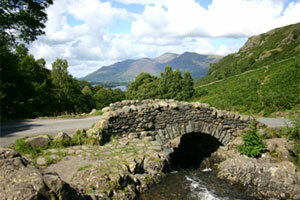 Travel to the Lake District. 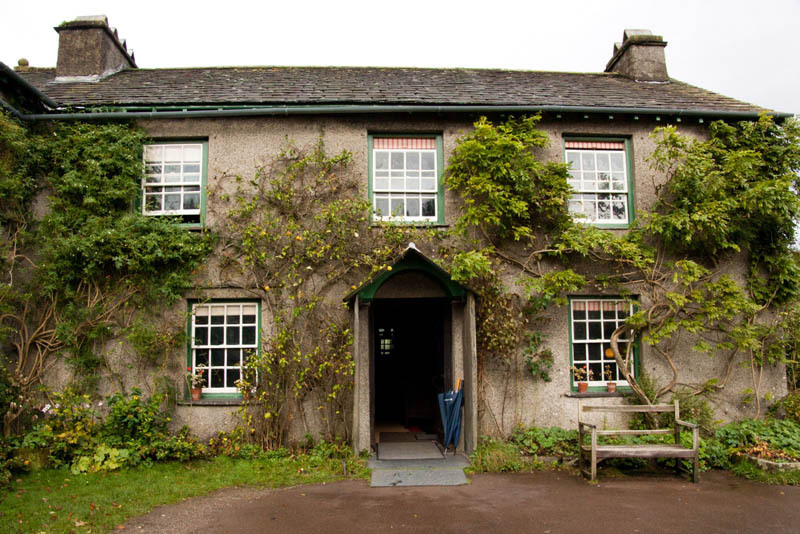 A special part of England beyond the Pennines with its rugged mountains and peaceful lakes, providing inspiration for William Wordsworth’s poems, visit his former home Dove Cottage. We will also visit Hill Top Farm where Beatrix Potter lived and wrote some of her novels.